What's a "Decan" in Astrology? We all know that it's impossible to lump every single person who shares the same Sun sign into a neat package of qualities. Sure, if you're a Leo, you're likely to share many Leo traits that are similar to other Leos. But in Astrology, there are many nuances that add great depth and complexity to your planetary placements. One such nugget of gold are Decans. If you understand Triplicity in Astrology, then you can grasp what a Decan is. Triplicity is a fancy term to explain the different elements in our zodiac. Triplicity is a group of three signs (triple) that belong to the same element. There are three Fire signs (Aries, Leo, and Sagittarius), three Earth signs (Taurus, Virgo, and Capricorn), three Air signs (Gemini, Libra, and Aquarius), and three Water signs (Cancer, Scorpio, and Pisces). Now, it's important to remember that there are thirty degrees in every sign -- no matter what sign we're talking about. And finding out your unique degrees is easy -- just run an Essential Birth Report. Decans are a nifty way of breaking down the qualities of each individual sign by separating each one into thirds of ten degrees each. Every sign will have three Decans and each Decan has a planetary ruler which becomes the co ruler of that particular sign. By knowing which Decan a planet or other point in your horoscope is in, you can learn more information about its story and how it may affect your psyche. Every Decan must belong to the same Triplicity (element) as the sign itself. Decans are arranged in the exact order they would appear in the natural zodiac wheel. If we use Aries as an example, we can see that the first Decan of any planet in Aries will apply for the first ten degrees. It will be an Aries-Aries Decan which is pure, unaltered Aries energy, ruled only by Mars. The first Decan of any sign will correspond to the exact sign, giving it an extra pure expression of that particular energy. If you have a planet between ten and twenty degrees of Aries however, there is a slight change. Now we're in the Aries-Leo Decan ... which gives a different flavor. This planet will have the Sun as a co-ruler, adding more dimensions to interpretation. If you've got a planet between twenty and thirty degrees of Aries, then it falls in the Aries-Sagittarius Decan ... which has a Mars-Jupiter quality to it. You can quickly see how someone born with a 5 degree Aries Sun, a 15 degree Aries Sun and a 25 degree Aries Sun will all have varying expressions of their solar energy. Fascinating! 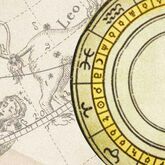 The principle of Decans can be applied to any of your planets or other points in your horoscope -- so explore the terrain and have fun discovering just how unique your birth chart truly is! Let's say your Venus is in Virgo at 12 degrees. Virgo is an Earth sign and the degree would fall in the second Decan which, when we follow the natural zodiac, brings us to Capricorn. Mercury rules Virgo and Capricorn is ruled by Saturn. Suddenly we can see how this Venus placement has both qualities to it and that may explain why, if you have this Venus placement, when it comes to love you're more conservative and logical than most. In matters of money you might be an incredibly astute business person with this Venus placement! 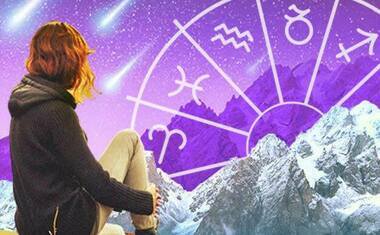 The Capricorn flavor as a co-ruler to your Venus in Virgo offers valuable additional insights. Below is an easy to read graph that will quickly tell you what Decan each sign falls under based on the degree of the planet or point. Have fun exploring your Decans!